Yes! This is not the topknot, the low-knot ladies. It’s easy to get the look in 30-seconds! The low-knot is similar to the topknot, meaning that you can make it as tight and sleek or as casual and tousled as you like. Any hairstyle that uses scarves or headbands to accessorize will be versatile. 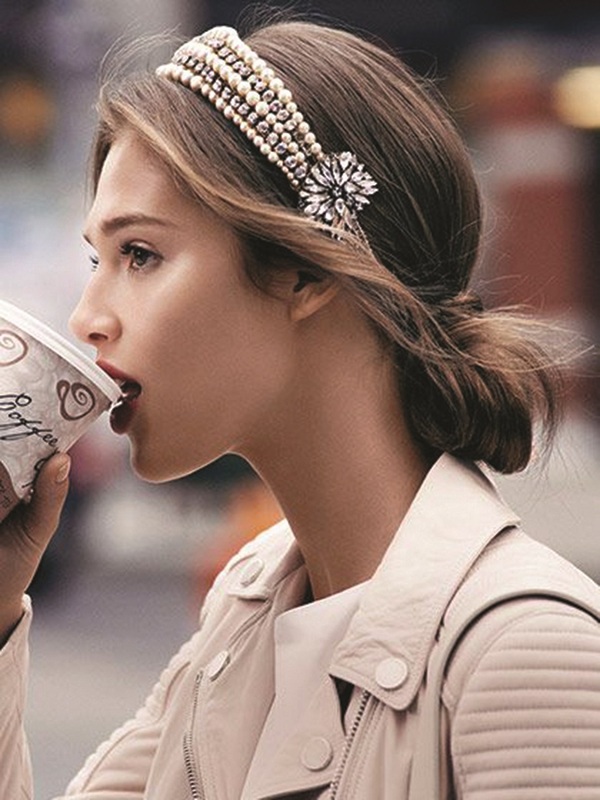 All you have to do is choose a small scarf or headband, printed or plain, silk or cotton and use it to recreate this tuck and roll low bun hairstyle. This is one of those hairstyles that can be worn in many different ways. We love using a scarf to spruce up a low bun because it can be made to truly match your individual style. You can use a scarf and tie it through the bun, wrap it around the bun as an accessory, make it a bow or simply secure the bun with scarf by wrapping it tightly around the base. The low bun can be sleek or tousled and it’s always elegant. 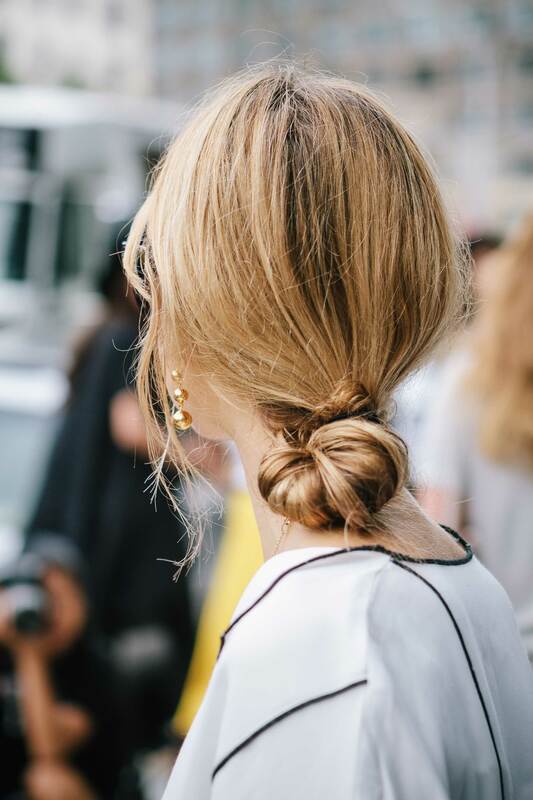 If you don’t want a tight low bun, leave a few loose strands out around your face with a center part. This soft touch will compliment any face shape and regardless if your hair is wavy, curly or straight, this is a simple low bun hairstyle that’s perfect for every occasion. Casual but gorgeous! 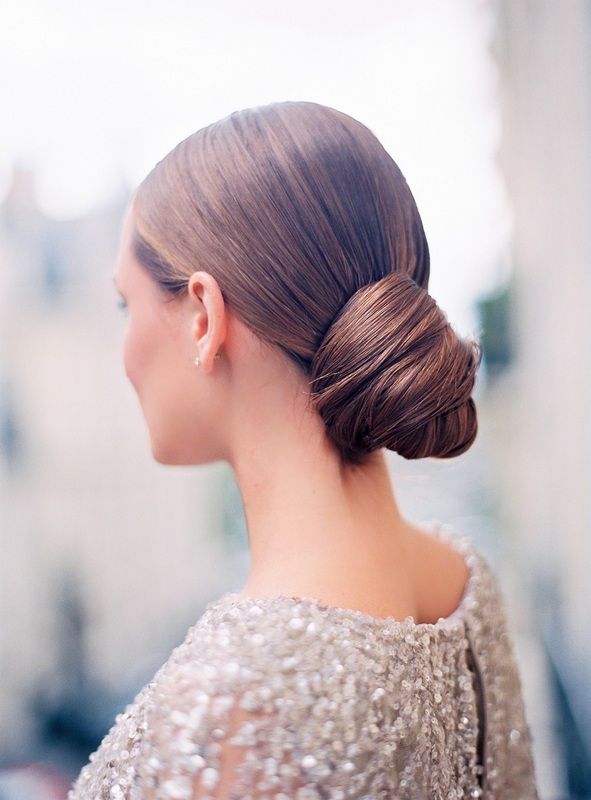 If you’re looking for a simple hairstyle that is a little more formal for a special event, try a simple low side-bun. 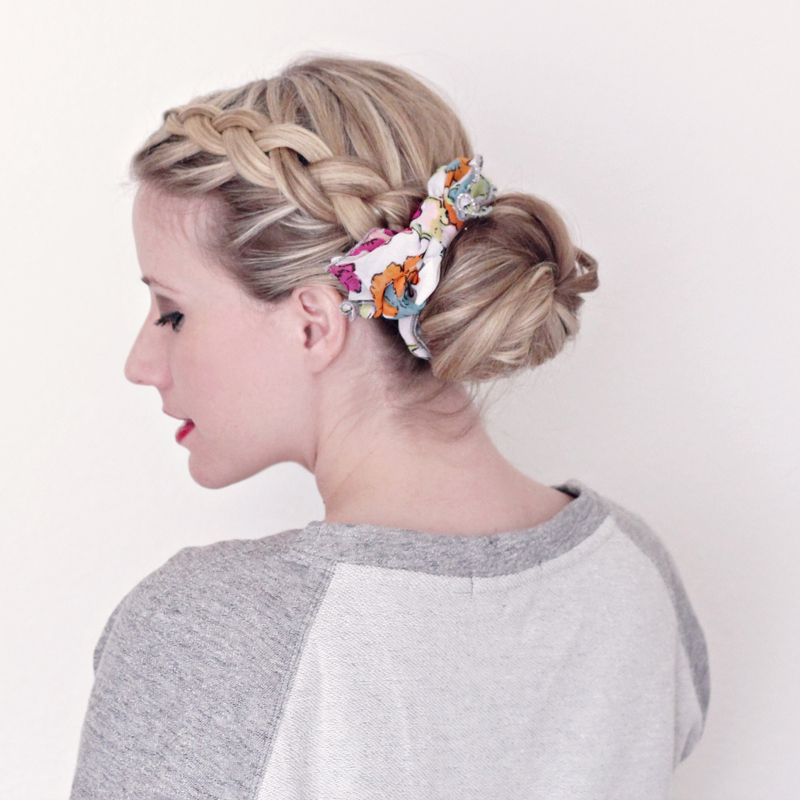 With a few pins and a tight knot, you can have an elegant hairstyle in a few minutes. The low bun has been center-stage for quite a while now. Who can blame us for loving the low bun? It’s quick, it’s easy and it looks gorgeous. And you can also wear it from day-to-night!